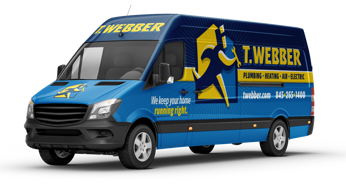 If you are having issues with your shower or tub – call T.Webber the Bathroom Experts! Our licensed & insured plumbing professionals provide same day tub and shower repairs throughout the Hudson Valley. Whether it’s a minor repair on a fixture, or a full replacement of a tub & shower valve our fully stocked trucks enable our team to complete most jobs same day. When dealing with issues with your tub or shower you may wonder if it is better to repair or replace. The answer: it depends. After a thorough review of your plumbing situation, our Plumbing & Drains Experts will make several recommendations – from immediate repairs to more complete replacements and discuss the pros and cons of each. Typically the decision to repair or replace is dependent on the age of the home and fixtures and the overall health of the plumbing system. Accessibility and budget also play critical roles in deciding to repair or replace a fixture, valve, drain line or shower/tub body. In addition to repairing and replacing tub & shower fixtures, drain lines, and valves – T.Webber also provides complete bathroom remodeling services. Our team of expert craftsmen can install new tubs and wall surrounds, walk in showers and shower pans, and accessible tubs & showers for complete bathroom solutions. To get started on your shower & tub repair – call T.Webber today. Our staff is available all day, every day for your convenience. A+ Rated by the BBB, we look forward to earning the opportunity to serve you.